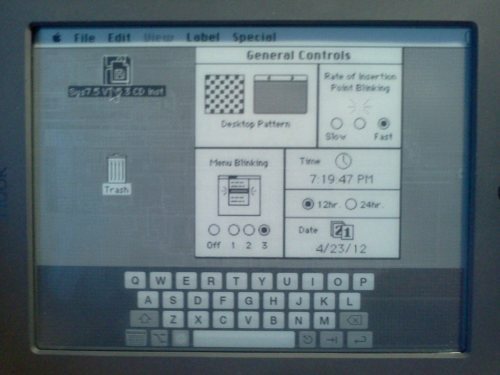 via Mac classic OS emulator on Nook Simple Touch. Mini vMac II は、8MB Mac II エミュレーターで お値段 ¥158 。別に Mac OS 7.5.3 が動いたからってどうと言うことはないんですが、昔を懐かしむことができる一品. This entry was posted on 水曜日, 6月 20th, 2012 at 12:16 AM and is filed under Android, Apple, Mac. You can follow any responses to this entry through the RSS 2.0 feed. You can leave a response, or trackback from your own site.